Our Funarena! 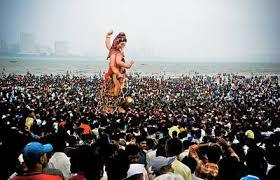 : Mumbai Ganesh Festival-2013: A Rousing Farewell To The Lord! 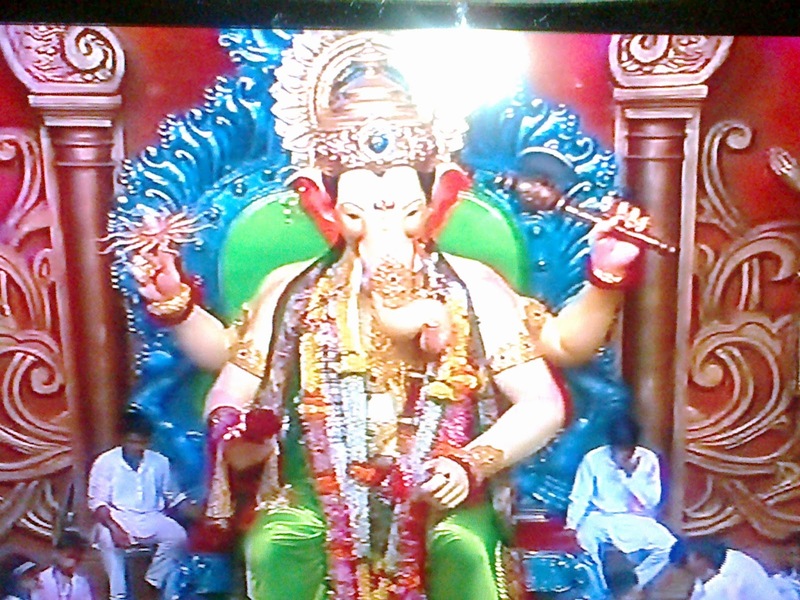 Mumbai Ganesh Festival-2013: A Rousing Farewell To The Lord! Ganesh Festival-2013 is coming to a close today as millions of devotees fill the streets of Mumbai to bid a fond adieu to their beloved God. 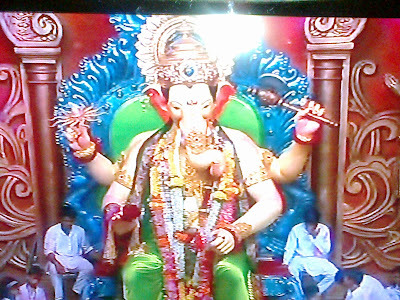 Lord Ganapati, the peoples’ God who stands for showering happiness and success, and destroyer of all obstacles, has arrived this time in the city on 9th of September when more than ten thousand public organizers and more than a hundred thousand household worshipers brought and installed the Ganesha idols. As per customs and rituals some of them immersed the idols in the Arabian sea on pond specially provided for Eco-friendly idols on the 2nd, 3rs, 5th and the 7th day. Today, the 10th day as per the almanac this year (normally this festival lasts for 11 days), the last farewell is being accorded to Ganapati. You can see a sea of humanity on every beach of the city and the surrounding areas and streets giving the administration the biggest traffic challenge of the year every year. Mumbaikars are used to this great day when they hardly venture out with cars during the peak time and if they do go out on urgent errands they promptly return home by maximum 4pm. The local holiday declared every year on this day helps both the public and the authorities. Security arrangements are also foolproof thanks to the constant efforts to prevent lawbreakers and most importantly terror strikes. The great immersion is set to continue till tomorrow morning as big Ganapati idols take time weeding the way out to the beach with devotees waiting to give their last prayers at every junction. Like the King of Lalbag (Lalbagachyya Raja) sets out on the journey in the morning of the 10th or the 11th day and the final immersion takes place on the morning of next day. Devotees constantly chant prayers fondly and request Him to come back early next year. The scenario is same in every city and areas of Maharashtra with only the size or volume of the processions varying. Jai Ho!